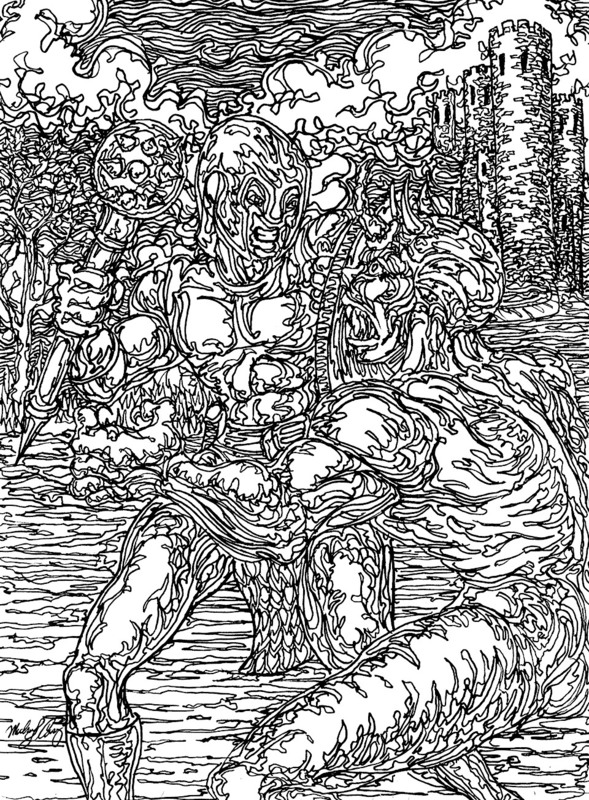 I hope some people ran across the last post with the coloring book page of the woman with the large scimitar sword and the dragon. 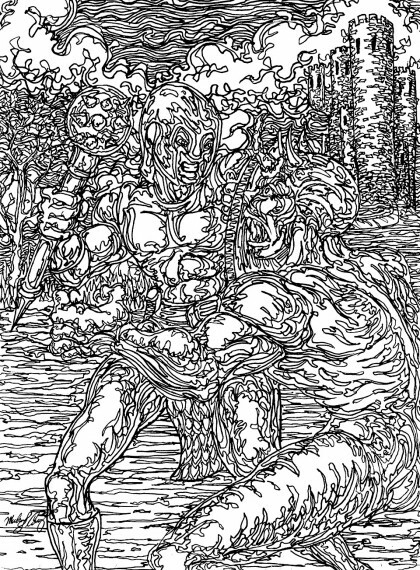 I decided to stay with the “Sword and Sorcery” theme for now, since I haven’t seen any adult coloring books with that content yet. Here’s the new page. Enjoy! Just control click and save the image on a Mac or right click with your mouse on a PC to download or print the jpeg file.